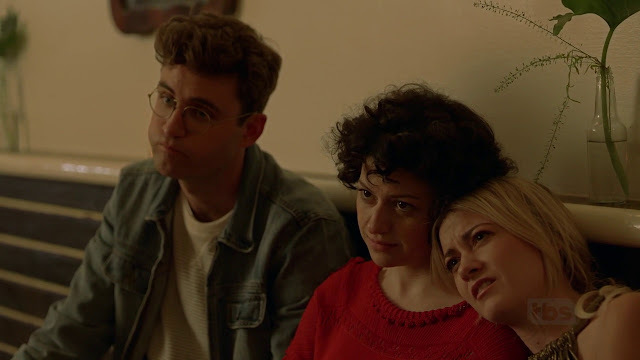 Created by Fort Tilden filmmakers Sarah-Violet Bliss and Charles Rogers alongside The State/Stella sketch comedy member Michael Showalter, Search Party delights in exploring and skewering contemporary millennial youth culture in inventive ways just as it builds a darkly comic mystery around its clueless characters. Starring Arrested Development actress Alia Shawkat as a directionless young adult, Dory, who experiences an existential crisis when her college (Facebook) friend goes missing without a trace. Dory becomes obsessed with the mystery as the TBS show constantly unfolds layers of character, drama, and biting satire in each of its ten half-hour episodes. The humour comes from its often abhorrent but authentic characters and setting. Taking place in a contemporary hipster Brooklyn, reminiscent of High Maintenance or Girls, their often absurd but highly identifiable behaviour adds to the sense of adventure. The show satirizes trendy New York culture while exploring how self-absorbed young adults act and why. The show asks precisely if anyone, much less your casual acquaintances, would actually care if you suddenly disappeared. What comes as a result is an amusing mixture of cultural inditement and thoughtful insight about modern life. The supporting cast of young comedians and actors strike a nice balance of dry comic delivery and deadpan dramatic reactions. John Reynolds as Drew, Dory's sweet but ineffectual boyfriend, is everything about today's insecure white male hipster represented on screen sublimely. His genuine performance anchors the crazy antics around him. Comedian John Early does a nice riff on the narcissistic gay friend character full of theatrical charm while Meredith Hagner as the flighty blonde brings much humour and likability despite her extreme selfishness. These characters could easily be one-dimensional, irredeemable assholes yet their actions feel justified enough in the context of today's increasingly bizarre societal norms expressed through a healthy satirical bent. 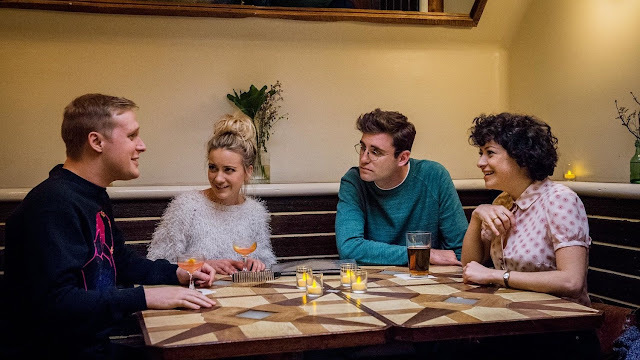 Search Party delights in its indie movie sensibilities as the show delves deeper into its oblivious characters and their superficial motivations. The show sticks to its millennial point-of-view while indulging the surprisingly dark mystery with an absolutely satisfying conclusion that feels earned and honest to its characters and situations while being completely devastating. The meaning we seek is usually never as enlightening as we hope.